China Glaze Nail Polish, Coal Hands, Warm Heart, 1425, .50 fl. oz. 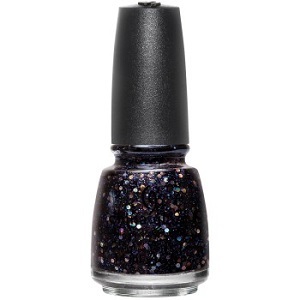 Midnight blue hex glitter and holographic hex glitter in a black translucent jelly base.